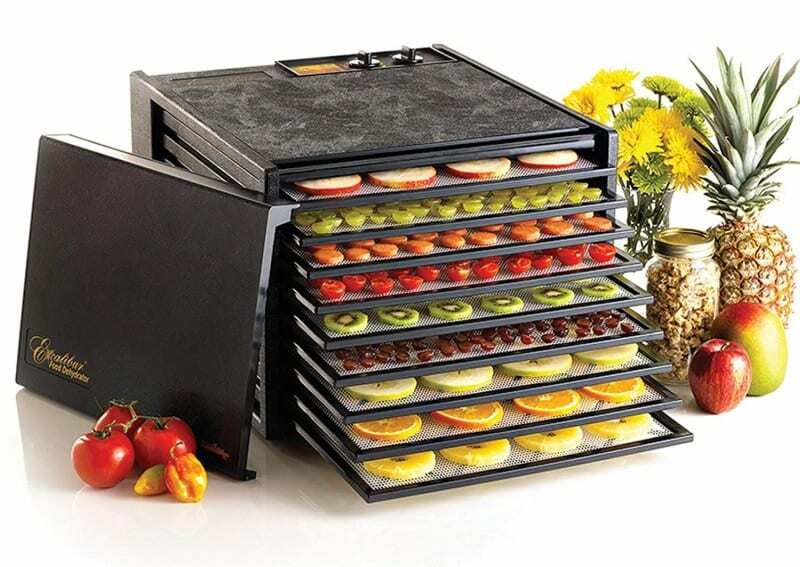 A food dehydrator is typically a device that is used to draw out moisture from fruits, meats, vegetables, and other foods to create jerky, chips, fruit leathers, and powders that can be stored for a long period of time. If you’re looking to extend the shelf life of your food stockpile, a food dehydrator can certainly do the job. But if you’ve already started looking at available food dehydrators, you were likely overwhelmed by the choices. How do you choose the best food dehydrator? What features are important and which ones are simply nice to have? If you’re ready for some clarity to help you narrow down your options, we’ve scoured the Internet to find the top 10 food dehydrators for you to choose from for your food preservation needs. There are many reasons that you might choose to use a food dehydrator. As a prepper, homesteader, or someone living off grid, the most pressing reason is extended shelf life and no need for refrigeration. Choosing the best food dehydrator for your family is definitely a matter of personal preference. A family of just two will have entirely different needs than a family of seven. We’ve listed some of the factors to consider before you buy a food dehydrator. Later we’ll give our list of top 10 food dehydrators to check out first. When choosing from the top 10 food dehydrators, look for one that is easy to use. If it’s easy to use, you’ll enjoy using it more often. A timer feature on your food dehydrator means that you can set it and forget it rather than monitoring the drying process. This is a must have feature for those with hectic work schedules or busy farms. Dishwasher safe pieces and an included drip tray make for easy clean-up so you can spend less time in the kitchen and more time with family. Automatic shutoff will help prevent accidentally over drying of food if you let it run overnight and decide to sleep in a little. Look for dehydrators that have a heating element, a fan, and uniform airflow throughout. Most dehydrators are between 300 and 1,000 watts of power. Most occasional users will be happy with a food dehydrator of around 500 of 700 watts of power. If you intend to dehydrate large batches of food at one time, go for 1,000 watts of power or higher. 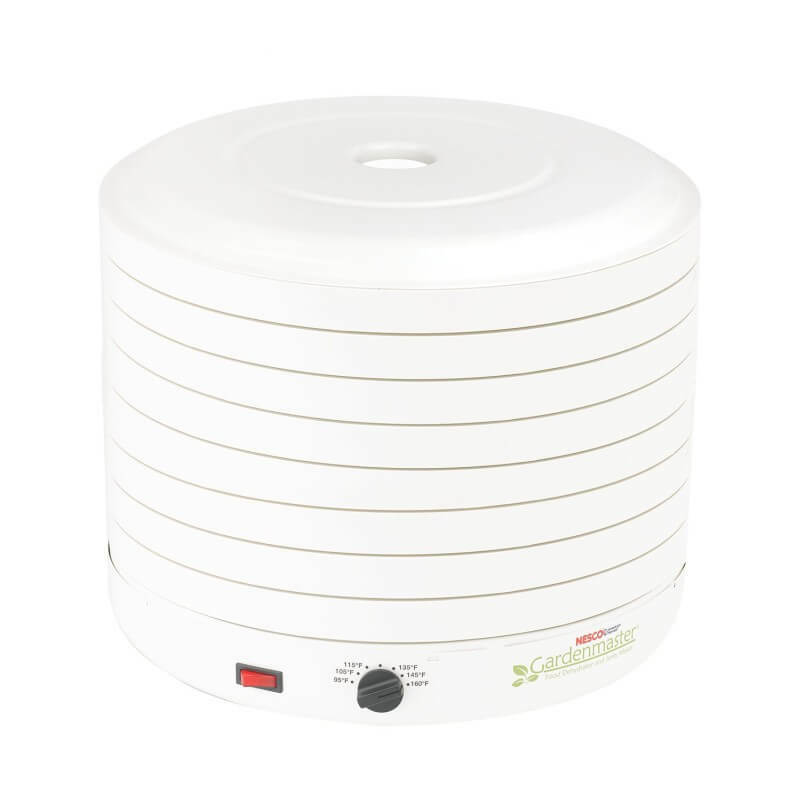 Some food dehydrator models have dual fans but these can be louder than single fan models. Top or back mounted heating element and fans are typically best for even heating. Temperatures required for proper drying of different fruits, vegetables, meats, or other items vary. The ability to set or adjust temperatures is a key feature so you can set the proper temperature for different foods and avoid having to continually monitor to prevent over drying. The less control you have over temperature, the more frequently you will have to monitor the drying process. Uneven drying also means you may have to interrupt the process to switch trays around so everything dries thoroughly. Now that you know how to choose the best out of the top 10 food dehydrators, below are the ones that made the list. Airflow moves from back to front and front to back in a horizontal or shelf style food dehydrator. Uniform drying is a critical element to the drying process. Nobody likes soggy banana chips. Uniform airflow can also help eliminate issues like mold and help make the final texture of your pieces more uniform. 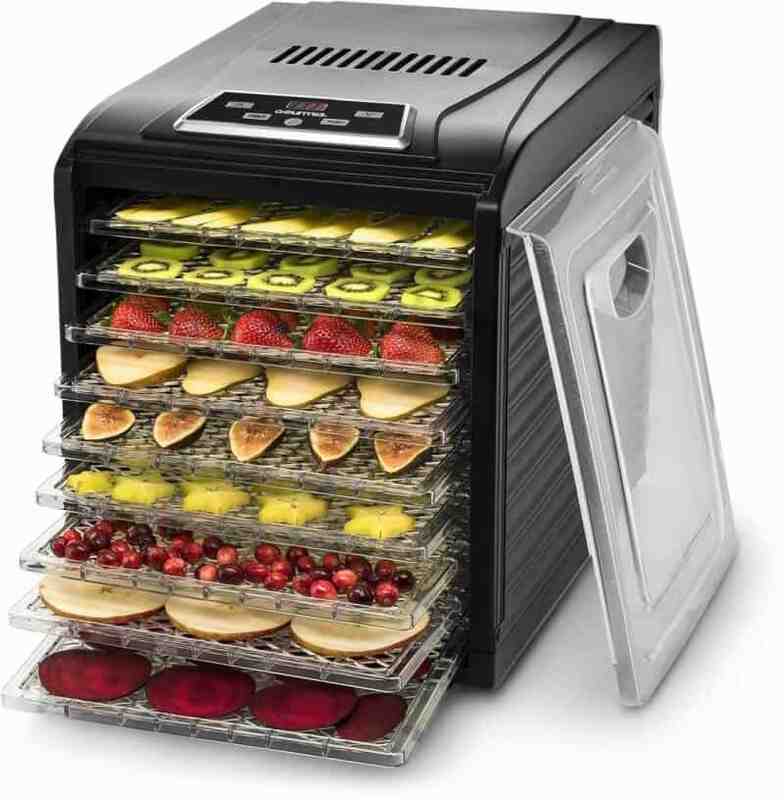 Airflow moves from bottom to top and top to bottom in a vertical airflow food dehydrator. These are typically round in shape, though not always. 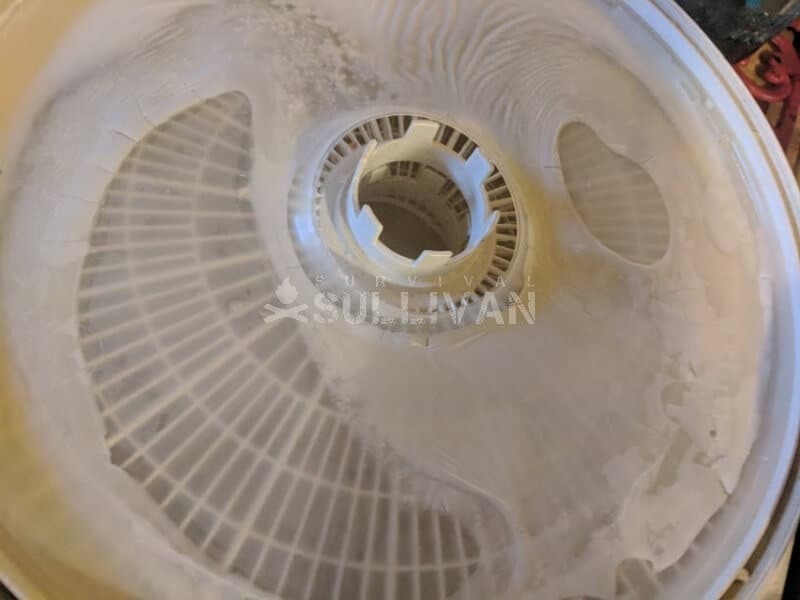 The heating element and fan are positioned in the center core channel or at the base of the unit. The downside to vertical airflow dehydrators can be uneven drying which requires switching trays around during the drying process. Our top 10 food dehydrators all use electricity to operate. But what happens in a grid down scenario or if you just want to forgo electricity and save some money on that electric bill? We found a couple hanging drying racks available for purchase as well as some a DIY solar powered food dehydrator options. 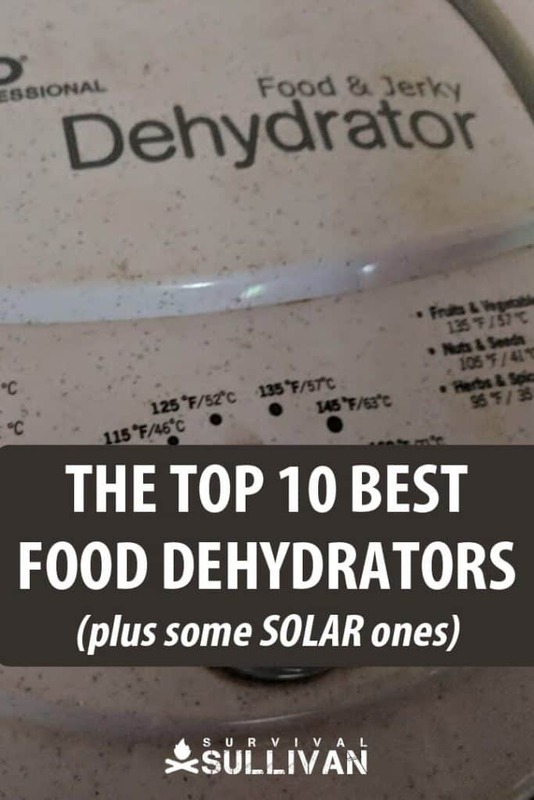 13 Step DIY Solar Powered Food Dehydrator from Mother Earth News is for you if your middle name is DIY. The plan comes complete with step by step instructions, illustrations and a complete materials list. Do you have a favorite that didn’t make our top 10 food dehydrators? Which of these might work best for your family’s food preservation needs? Share your thoughts in the comments below… and don’t forget to pin this for later!